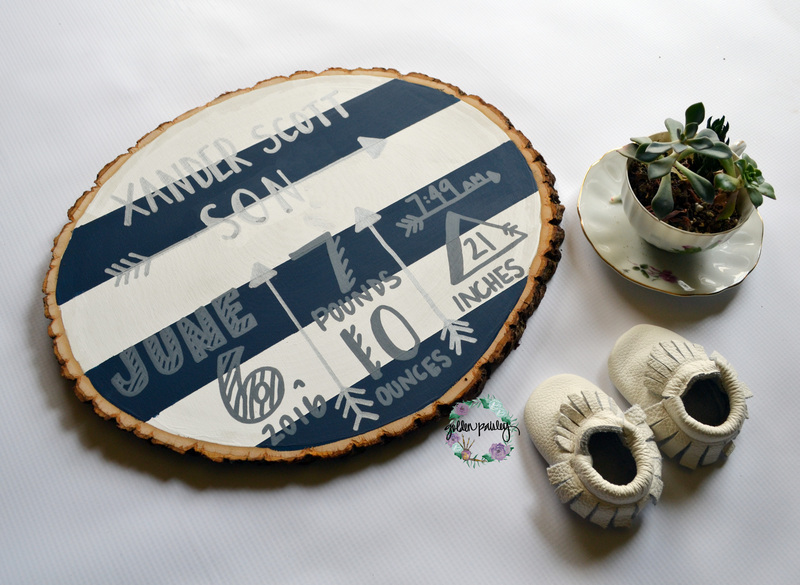 I love the look of painted wood slices! 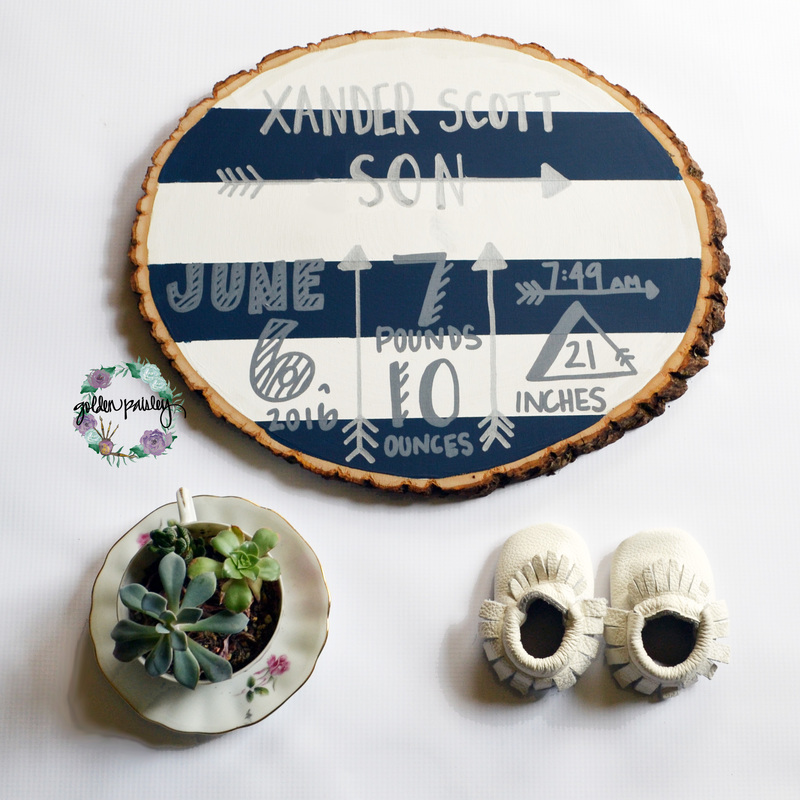 This wood slice is created on a natural wood slice, approximately 11 inches wide. Each wood slice is unique and different, making your art special! The background and text are hand painted on the canvas, with the letters hand painted in my own hand writing. 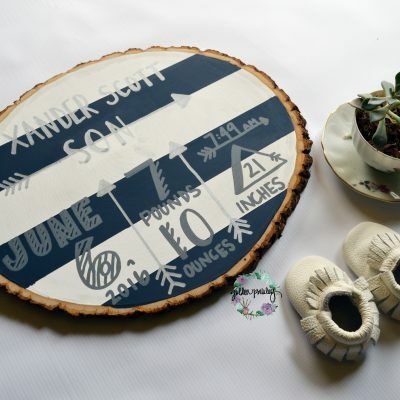 This sweet, modern, and trendy piece is the perfect personalized nursery decor for your little one’s room, and would make an amazing gift for a new mom! Each wood slice is cut from an actual tree, and has the bark intact on the outside. This makes a one of a kind and unique piece of artwork, as imperfections will make each slice unique. Please note that a bit of bark may shake off during shipping; this is normal and expected for natural wood slices. Each wood slice will be between 10 and 12 inches wide and oval in shape.